Fire; the one tool in my Forest School arsenal guaranteed to spark creativity, curiosity and focus. Seeing a child make their first fire is something very special. We have been harnessing and bending it to our will since time immemorial, and even now, after all the fires I've lit (a lot), it still captures my attention and draws my gaze. 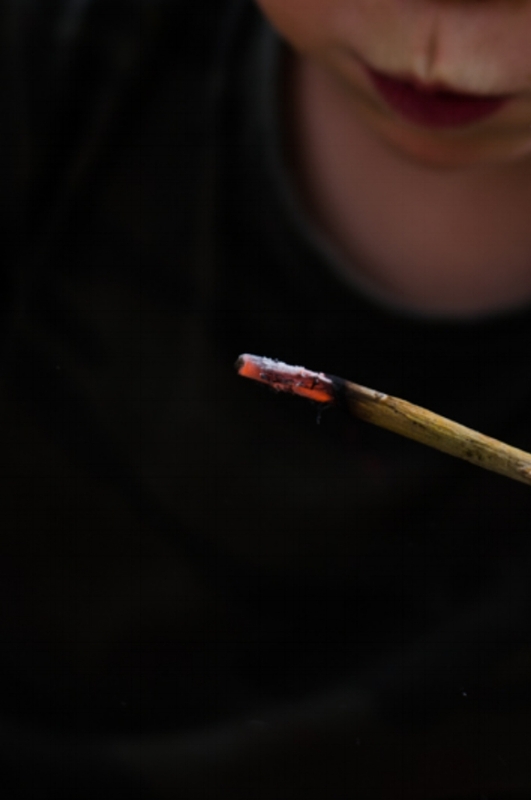 It might only be small and short-lived but the moment the spark from their strike of the fire steel connects with the cotton wool and the first glow of the flames wanders over the white tinder, are moments for any child to be very proud of themselves. 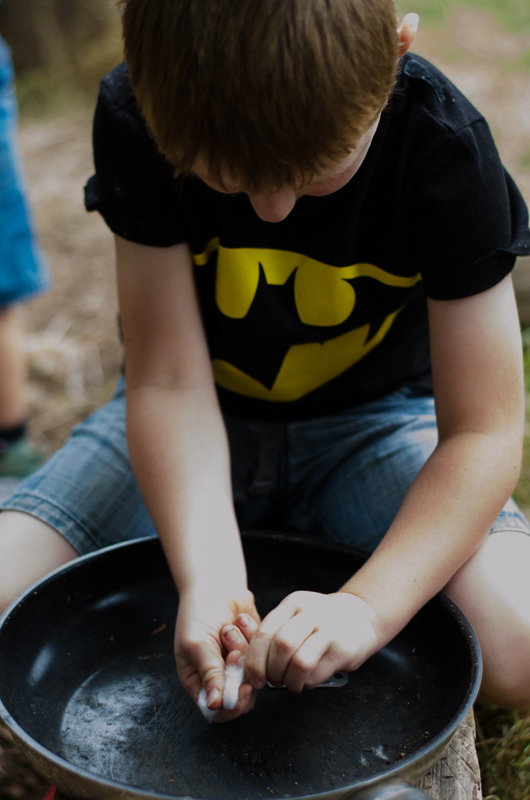 Fires play a key role in Forest School. As the weather takes a turn for the chillier in later months, they not only provide much-needed warmth but are also fantastic in terms of providing a purposeful educational benefit. Moreover, fires possess a capability to fully enchant imaginations, as ethereal smoke and flame dance around each other and embers flicker and glow from within. When approaching fires with children, I am of the consideration the earlier the better. Whether it be a small fire at the bottom of the garden, seeing a bonfire in November, or even helping to light the wood burner in your homes, arming children with the right knowledge and respectful mindset is key to adopting responsible atitudes and developing self-assessed risk strategies in the future. At Free Rangers, we rarely use matches and opt instead for Fire Steels which we feel makes the fire lighting process far more experiential. 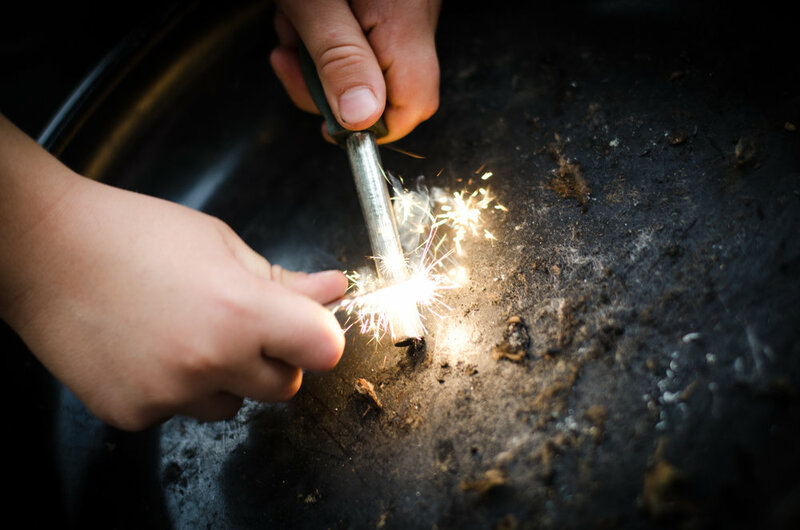 Making a spark is quite tricky but it's putting that skill into practice that's the real tricky part and the key to unlocking the mysteries of fire. 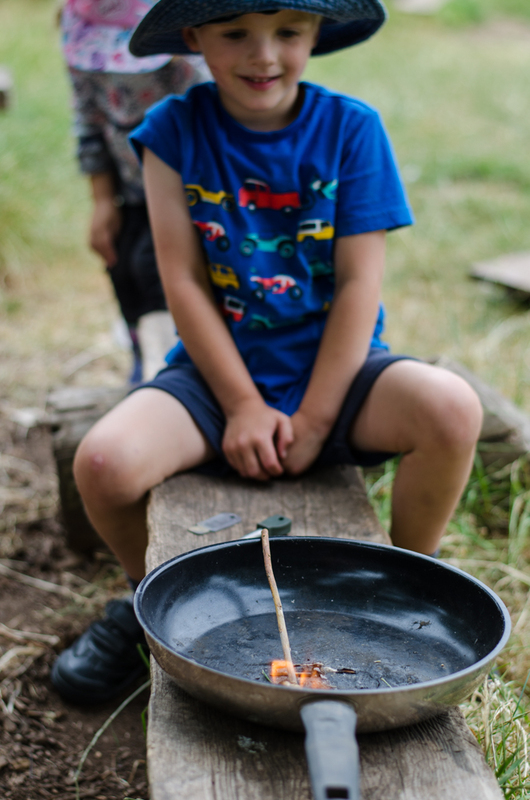 Throughout any session involving fire, fire safety is something discussed throughout any session (during the Forest School rules) regardless of whether there is fire or not, so it becomes second nature. Yes, fires are a risky activity for the children to take part in but we firmly see the beneficial properties are worth the risk. Furthermore, the use of regular key vocabulary is important in enabling not only the practitioners to gauge the children's comprehension but further arms the children with the right knowledge to underpin their own understanding. At Free Rangers, we like even the youngest of children to experience the sensory side of fires at the very least. The smell of smoke, the colour of the embers and the heat of the flames all play a part in building a positive relationship. As the children progress through the nursery they begin to develop a more tactile relationship with fires and fire making. For example, they may start with collecting and processing firewood, which may then develop to being able to feed the fires. Next, the children would be introduced to the basic structures and methodology of lighting fires and the theory behind combustion (i.e. the fire triangle: heat, air and fuel). After the stinging nettle pancakes we made recently, the pre-schoolers expressed an interest in fire lighting, so we drew on this as a focus to build our sessions on. Fire steels are a tricky business and take a good deal of motor skill development and muscle memory to master. It's not my aim for the children to be fully competent firelighters, but rather to experience and enjoy the process of fire lighting in its essence. 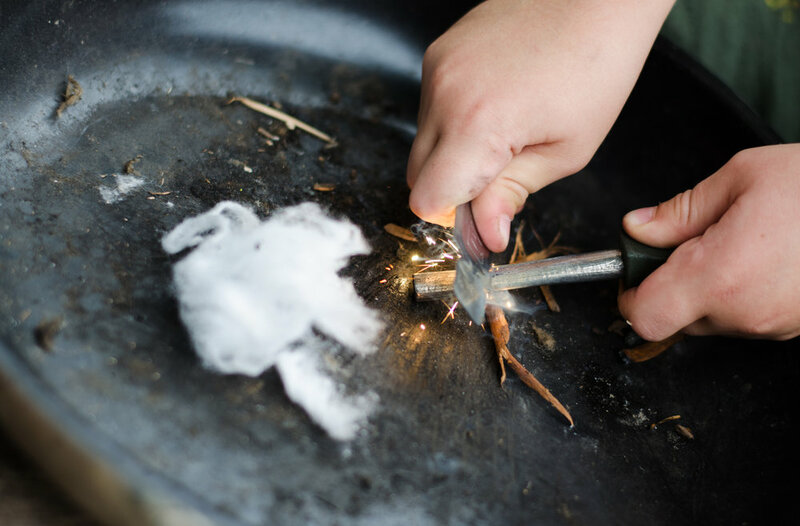 Sometimes on their own, sometimes with a little assistance, they fired sparks onto some pre-fluffed cotton wool and explored the forthcoming flames. We then talked with the children about all the different elements we need: cotton wool, dry thin kindling, fire steels, and how these components fit together to make larger more sustaining fires. We let the children have a go at building one, which inevitably fails, but we unpack why it didn't work and try again. Once lit, the children hovered dry kindling over the flames to try and pass on the heat energy they'd created. This allowed us to further enjoy the warmth and talk about their thoughts on the fire, what they can see, smell and feel, and any experiences they want to share. We often find just sitting around fire provides an opportunity for children to share much more freely than anywhere else. "I did it!" The "Eureka" moment where theoretical becomes tangible. Fire Lighting can have a huge impact on boosting a child's sense of worth through the completiton of something taxing like this. It's very important for me they get the chance to explore what they have made: giving it a poke with a stick, setting that stick on fire and blowing the embers, are all ways of learning the limits and behaviours of fire, and what they learn will be retained much longer from this exploration, then from simply watching me. These weeks have also highlighted how important it is to give the children space to explore what they have learnt in the session, as we provided some free play afterwards. We witnessed some excellent role-play and offshoots from the session ranging from children rubbing sticks together to see if they could light a fire, to pretending to be dragons and Fireman Sam, to simply sitting by the last glowing embers and blowing them to see the fire's "eyes" (embers) light up.